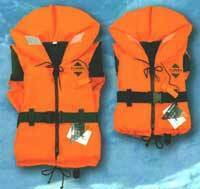 Fladen Classic 100N Lifejacket for both children and adults. Equipped with zipper, SOLAS tape and whistle. Please note that children should not use diapers together with a lifejacket since this can disable the turning function. 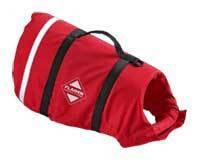 Soft dog life vest fitted with strong buckles, lifting handle and D-ring for the leash. Now give your dog the standard of safety you give yourself. The lightest suit on the market! 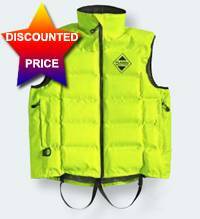 A very affordable Flotation suit that does not compromise safety. Same extreme bouyancy as the other Fladen Rescue System suits. 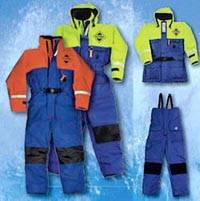 ISO 15027-1: Immersion suits: Tests for protection against hypothermia and demands for visibilty. Is tested against current regulations for Flotation Garmets according to EN 393. LOWEST WEIGHT - HIGHEST BUOYANCY!